Over the years, a number of myths have emerged about how search engines operate. Such misconceptions have caused confusion about what’s needed to enact an impactful search engine optimization (SEO) strategy. In some cases, these misconceptions have caused chiropractors to abandon the effort altogether. Times have changed. And, yes, many chiropractic SEO tactics used before are no longer relevant. In fact, they can be very harmful. The more sophisticated Google’s algorithms become, the more ranking penalties Google hands out. Maybe you’ve experienced this. At a time, you held the top spot on Google. Now, you’re nowhere to be found. Most likely this resulted from SEO practices that didn’t match up to Google’s expectations. Still, SEO is every bit as relevant today. The following explanations will help you debunk the myths about what makes a patient-producing SEO strategy. Indeed, the interest of website visitors is your priority. But Google is the number-one driver of website traffic – and, in turn, it’s the number-one driver of new patients. So why shouldn’t you optimize your website for search engines? 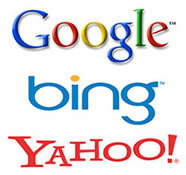 SEO can cater to both humans and search engines. You just have to implement practices that cater to both. This reads very awkward. And it’s the reason why Google started penalizing websites for “keyword abuse.” It caters only to search engines, not humans. Including target keywords on your webpages is essential. But they should be relevant and placed naturally throughout your site. These days, Google is more interested in what visitors actually do on your website, not how well you can trick the search engines into delivering you visitors. How much time people spend on your site, how many pages they visit, and other engagement metrics, can significantly impact your rankings. Google introduced an algorithm update in 2011 intended to halt poor-quality websites from working their way into the top search results. The change was prompted by webmasters who published thin content only to have more pages indexed by search engines. Google’s assumption was that a website with 100 pages, containing no more than 200 words of text on each page, was a low quality website. Many of these sites were penalized and buried in the search results. Refrain from publishing more pages only to increase crawling from Google. All things equal, having more pages will generate more website traffic. But be sure to feature helpful and interesting content that keeps visitors engaged. The “demise” of link building has been touted many times before. While spammy link building is dead, quality link building is alive and well. Many tactics are no longer effective, and could in fact get your site penalized. But the fundamental concept is still present: If you have quality, relevant backlinks, you’re more trustworthy in the eyes of Google. Note: “Trading” links with other websites not only isn’t helpful, it could hurt your SEO. This used to be the case. Flood your content with keywords, buy hundreds of low quality backlinks, and you could secure the top spot in Google within a matter of weeks. Times have changed. You must prove your worth by implementing a meaningful SEO strategy – one that caters to the reader. This means it can take months to gain traction in the search engines. In the SEO world, there’s no such thing as instant results. To avoid suspicion on part of Google, have a slow and steady process for optimizing your site. Major reforms that appear unnatural could do more harm than good. If your website isn’t producing new patients, your gut reaction might be to hire an SEO consultant. While this is probably necessary, be sure to manage your expectations. Tweaking page titles, building some links, and adding relevant keywords to your content is important to rank well in Google. But ranking just for the sake of ranking isn’t your goal. Your goal is to attract qualified website visitors that convert into patients. If you specialize in sports chiropractic, attracting visitors who are only interested in massage therapy won’t do a whole lot of good. Someone who is interested in sports chiropractic, but isn’t satisfied with your website design, might be lost to a competitor. 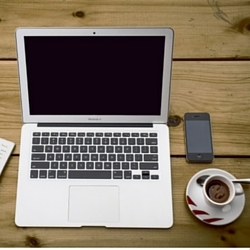 SEO isn’t necessarily your most prized online marketing asset. How well you fare in Google is only beneficial if your website visitors feel compelled to schedule an appointment. 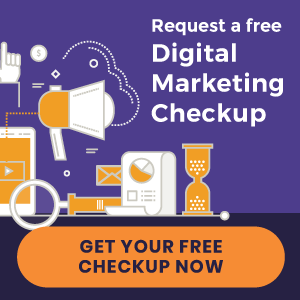 Before even considering a new optimization strategy, it’s important to make sure your website is designed to convert site visitors into patients. If it’s not, your SEO efforts will be limited. You could end up spending a whole lot of time and money only to gain bragging rights about your top spot in Google. John, a prospective patient suffering from back pain, finds your website through Google. He is intrigued by the content on your homepage, compelling him to click on your Meet the Doctor page. John is intrigued by your story, so he takes a peek at your services. Concluding that you might be the solution to his back pain, he looks to see where you are located. He clicks on your Contact page and schedules an appointment. 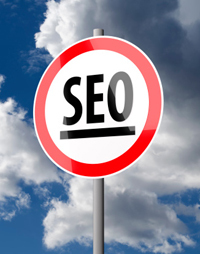 There is a lot that goes into building an effective chiropractic SEO campaign. And it’s not a one-time strategy. Optimizing your website for search engines is an ongoing process. Results should be monitored and you should have an action plan for success over the long term. Need ideas? 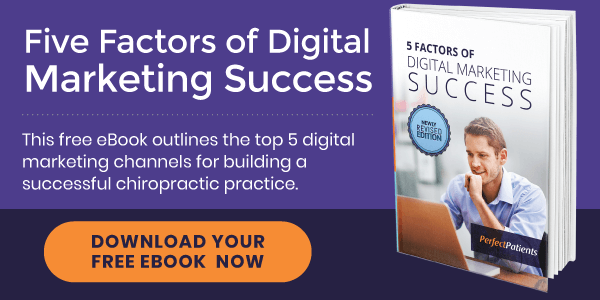 Download our free eBook below for simple marketing strategies to attract more new patients from the Internet. 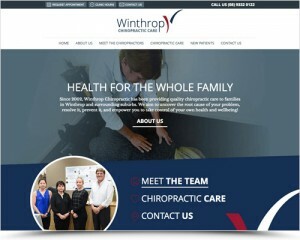 « New websites launched | Marvell St Chiropractic and more!